A once unassuming restaurant and bar in the small town of Bridel, Luxembourg has been transformed into a Japanese-inspired modern wonderland. 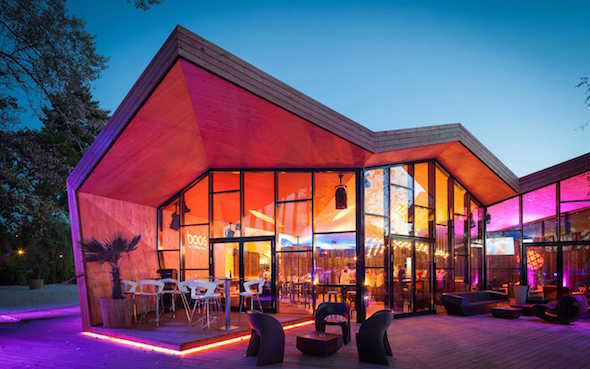 BOOS Beach Club and Restaurant, known for its fine dining fare and live music, has seen a major revamp with the help of Luxembourg based architectural design group, Metaform. With an angular shape that was inspired by the intricate folds of Japanese origami, a natural wood exterior resembles delicate pleated paper. The revitalized contemporary structure was built around the original building and was designed to meld into its serene, tree-dotted surrounds with a wood exterior and glass walls that open up to a light, airy interior. 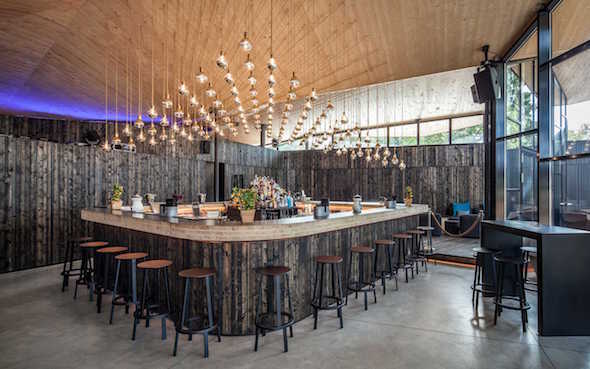 With a natural, reclaimed feel, the inside features light wood walls and a high ceiling above the bar that is artfully outfitted with hanging light bulbs reminiscent of a rain storm. Furnishings include neutral toned mod leather chairs and sleek black tables and stools. The floors are swathed in polished concrete, while raw steel detailing creates a purposeful urban, yet earthy, feel to the modern space. The exterior areas have been reinvented to further reinforce the beach house vibe, with part of the terrace removed and replaced. Ideal for imbibing on a housemade cocktail or two, the terrace features wood and white sand to represent the playful beach house theme. 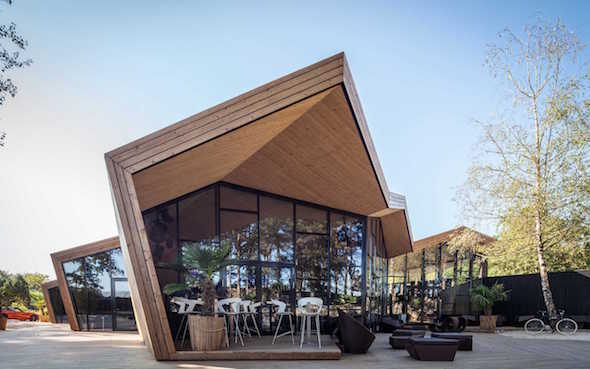 The space was created so the dining and drinking areas presented views of the trees outside, making the restaurant feel like a modern treehouse for its guests. The kitchen and dining areas were recreated with a cozy, yet modern, fireplace, a dining room and a sparkling dance floor set around a gorgeous bar, where late-night DJs can spin. According to a press release, the structure was built with a removable, dynamic roof system to make it simple to change if needed, in the future. The firm believes that a building belongs to its environs and the city itself and they create interesting spaces with this belief in mind. “The style is never predetermined. A building does not stand alone. It equally belongs to its neighbors, street, public space…to the city itself. 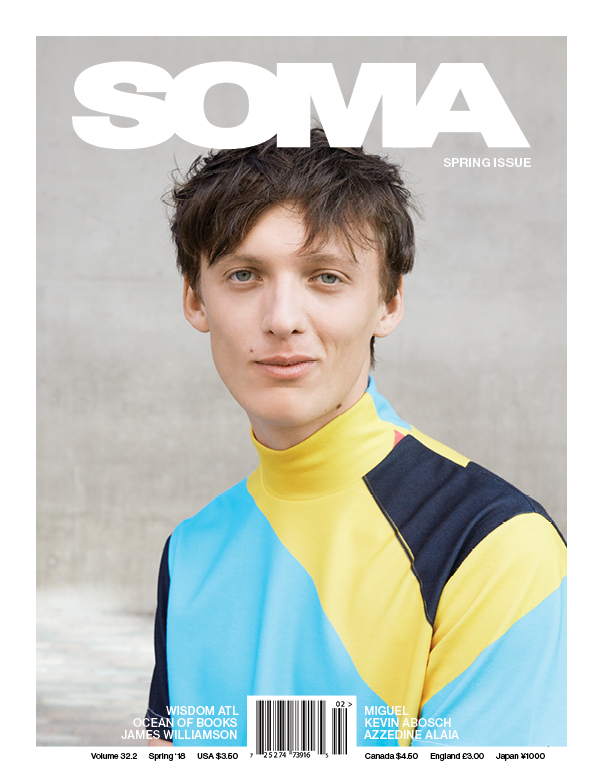 The range of activities varies from urbanism to detail design, together with different landscape and housing research, “says the company’s website. Metaform’s far ranging clientele includes everything from residential buildings to concert halls and restaurants.